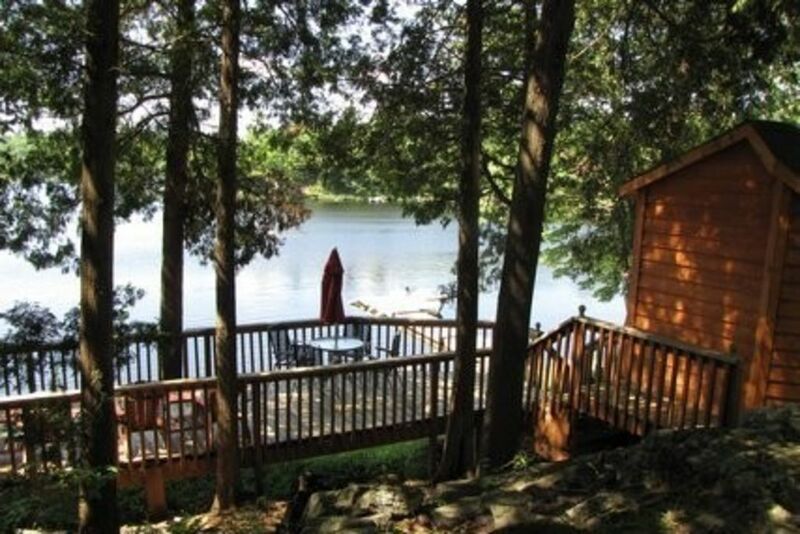 Cottage # 8 - is a 2 bedroom cottage located on the Shores of Kennebec Lake. This cottage offers a spectacular view from its new deck, which is located under huge pines and cedar trees. During the evening hours you will be amazed with the sunset views. Cottage 8 features 1double bed, bunk bed with 1 twin bed on top and double on the bottom, new 3piece. It's centrally located close to beach, docks and central deck. Perfect cottage for a family of 4 or for a couple that would like to have a quiet and relaxing get-a-way. Cottage 8 has gone through some major interior renovations, some of the upgrades are New windows and doors, kitchen and bathroom wow come and enjoy a stress FREE TIME. Rates vary, please contact us for detailed rate information. Extra person fee of 60 per person per night after the first 4 guests.